Hello all! I am super excited to announce that the Virtual Book Tour for The Confessions of Catherine de Medici by C.W. Gortner will be starting tomorrow!!! I posted the tour schedule below....the tour is jam packed with guest posts, interviews and giveaways...you will not want to miss it! Check back here on Wednesday for a guest post by the wonderful C.W. 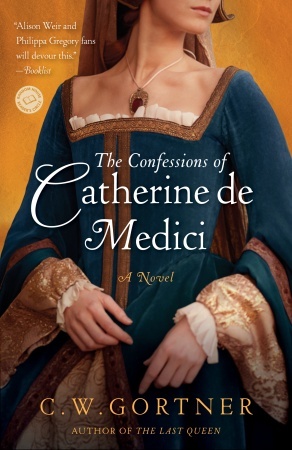 Gortner and a chance to win your own paperback copy of The Confessions of Catherine de Medici ! Awesome, I will be checking it out! I have really enjoyed following the Queen By Right tour! I have been looking forward to this one.